Far Cry 5, developed by Ubisoft Montreal in collaboration with other studios*, is a first person shooter set in a completely open world. 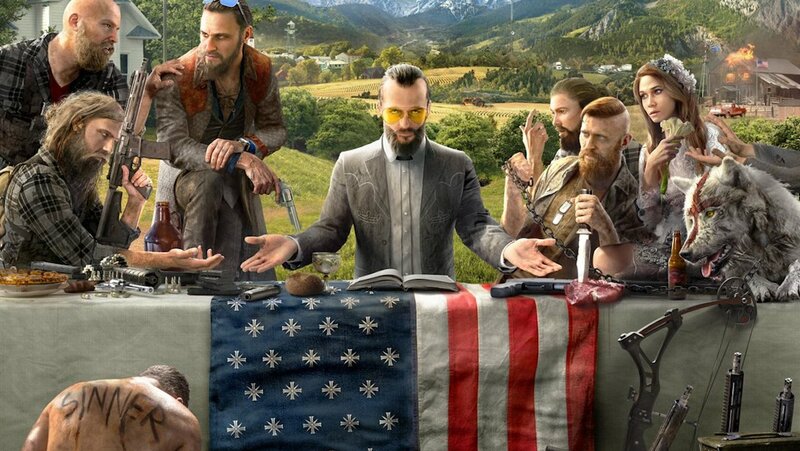 Players will have the freedom of choice, wrapped in an immersive story with memorable characters, where they can experience Far Cry Moments: unpredictable and unforgettable moments in the game – like getting attacked by a bear while quietly fishing, or being rescued by Boomer at just the right time. Players can play any way they want, including recruiting Guns for Hire, Fangs for Hire, and a Friend for Hire, which allows players to play the entire game in co-op, a franchise first. Far Cry 5 also includes Far Cry Arcade, the biggest and most versatile map editor mode for the Far Cry series. In Far Cry Arcade, players can create new scenarios by utilising assets from other titles in the series as well as other Ubisoft franchises, including Assassin’s Creed® IV Black Flag, Assassin’s Creed Unity, or Watch Dogs®, for solo, co-op or competitive experiences. Players can also purchase the Gold Edition of Far Cry 5, which includes the base game, season pass and bonus content. The Far Cry 5 season pass transports players to uncanny adventures across three unique settings with the upcoming DLCs - Hours of Darkness, Dead Living Zombies and Lost on Mars - and more. On top of that, players who purchase the season pass for PlayStation 4 and Xbox One get Far Cry 3® Classic Edition at no additional cost, while PC players get the full version of Far Cry 3 at no extra cost on May 29th. Far Cry 3 Classic Edition will also be available as a standalone purchase on June 26th. *Associate studios are Ubisoft Toronto, Kiev, Shanghai, Reflections, Bucharest and Pune.